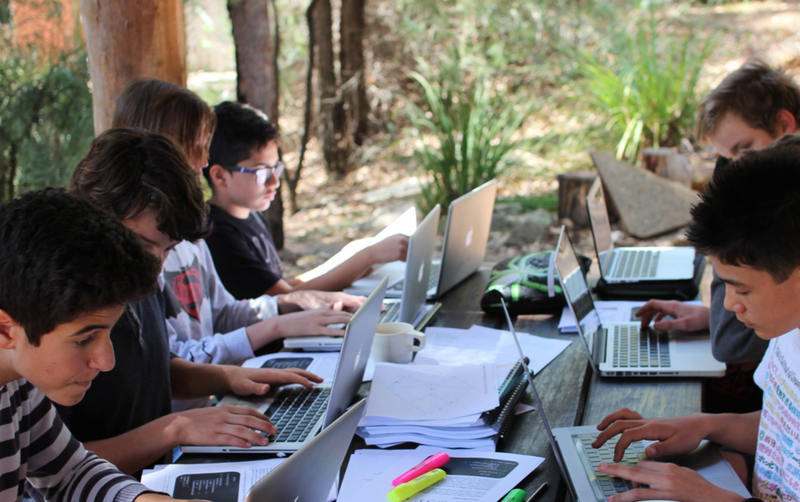 Over the weekend six Corpus Year 8 students joined students from St Hilda's Anglican Girls School and Christ Church Grammar School for the first Year 8 Informatics Coding Camp. 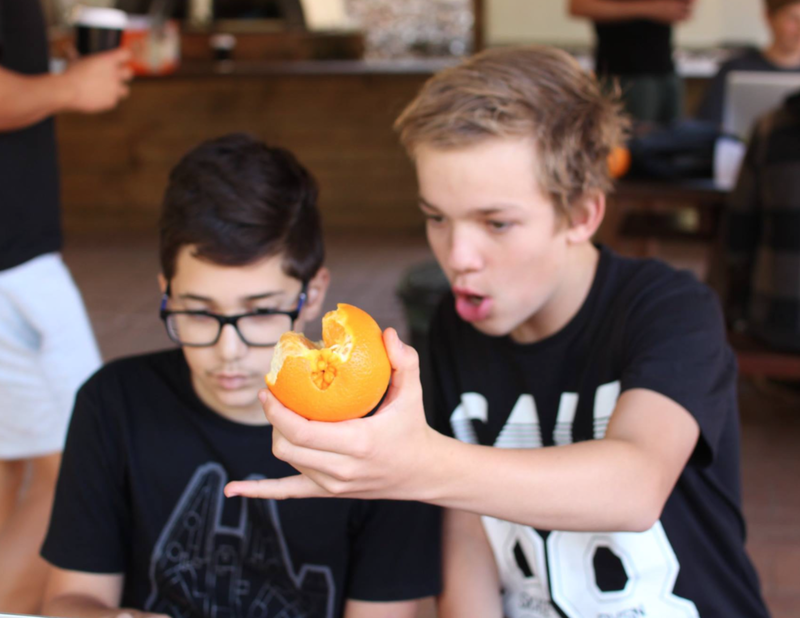 The students worked through a series of programming challenges in order to prepare for the upcoming Australian Informatics Olympiad on Thursday 31st August and met new friends who are also interested in developing in the Python programming language. The goals of the camp were to get students enthused about coding, teach them important skills necessary for success in the Informatics Olympiad and establish a network of collaborative coders between the three schools. Students were supported by the Heads of Mathematics from St Hilda's (Mrs Jo Watt) and Christ Church Grammar School (Mr Jan Honnens), and also Computer Science staff at Corpus Christi College (Mr Johnny Ho and Mr Daniel Budd) to learn about converting recursive algorithms and using matrices in coding. 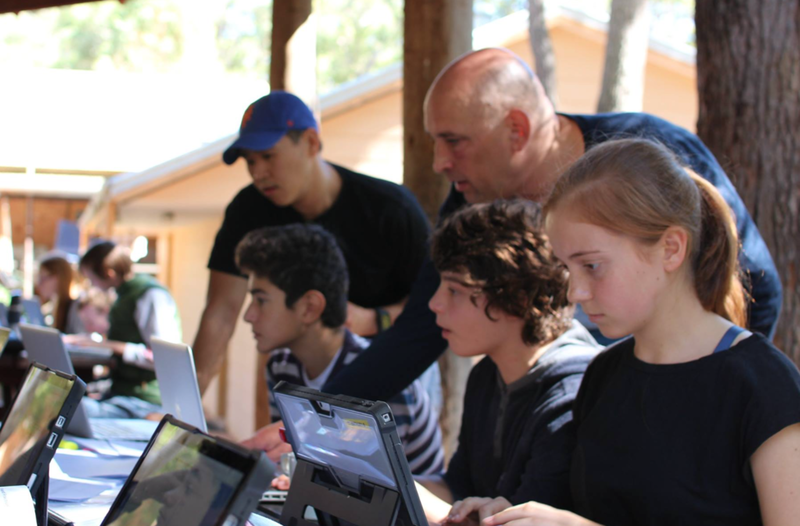 This camp has been developed as a means to extend student who have been introduced to coding through our new mandatory Digital Thinking classes in Year 7 and 8, and with the enthusiasm shown during the Year 8 Informatics Coding Camp the College is looking to plan a Year 7 and Open Years camp later in the year. If you are interested in getting involved, please speak with your Digital Technologies teachers. Informatics is an exciting and challenging mix of mathematics, computer programming and problem solving. In the Middle School, there are a growing number of students eagerly embracing the challenging opportunities informatics provides.